I have worked with mantras for the past 17 years and can personally attest to their power. Because I have had such positive experiences over the years, I decided to share this knowledge with others, so that they too may benefit. 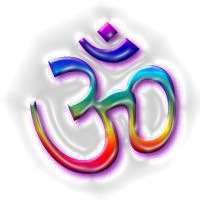 Mantras are ancient words of power discovered by Indian seers (Rishis). Each mantra carries with it a certain vibration and by repeating a mantra we align ourselves with its power to create positive change. I have written an ebook that explains the basics of what a mantra is and how to use it. Included in the ebook are the most popular and most powerful mantras to help create positive changes in one's life. If you would like to order a copy of the Mantra Ebook, simply click on the "Buy Now" button below. You will be taken to a secure PayPal site, where you can safely pay by credit card. As soon as I receive your payment, I will email you a confirmation of your payment with the ebook attached. When you receive your Mantra Ebook, you will also receive a link to audio files of each of the mantras, as a reference, so that you may hear how they are pronounced.